Join Kev and Carol at The Grain Barge this evening for a catch up with members old and new. All places to eat in a group have been taken so there's going to be a good turnout; come along and join the throng. Come to The Boardroom to find out about the club; who we are and what we get up to; or just come along to be social. Last month having the Snowsport Planning Meeting on the same night gave the evening a great vibe; it was a very sociable night and many of those who came along have joined up. Welcome to you all! The committee would like to thank Paul and Nic for all their hard work arranging this year's ski trip, as a result of which the trip has not made a loss as was at one point feared. Well done guys! You are required to tick both boxes to enable the club to operate under the terms of its insurance and also for GDPR. You do need to share your details with organisers and other members to enable communication regarding events, trips etc. and you will not be able to proceed until this has been done. There was a system glitch that asked you to do this every time you logged on but this should now have been rectified. Anybody can stand for any role and we welcome your interest. Please make Elin aware that you would like to stand at [email protected] Please note, you will need to find a proposer and seconder to support your proposal. We are also looking for people to help with the roles of Equipment Officer and Membership Officer, and for a Social Co-ordinator. Members can propose resolutions for discussion at the AGM - please see the club rules 30.3 which can be found by following this link https://aoac.co.uk/sites/default/files/AOAC_documents/Company_Info/AOACRules2016.pdf. This is the last day prior to the AGM that a members resolution can be proposed. Check there are air bags in the back and that they are inflated! This will make your kayak less heavy and easier to rescue if it fills with water. Check that all the bolts for the foot plates are in place. This will keep the foot plate securely in place. 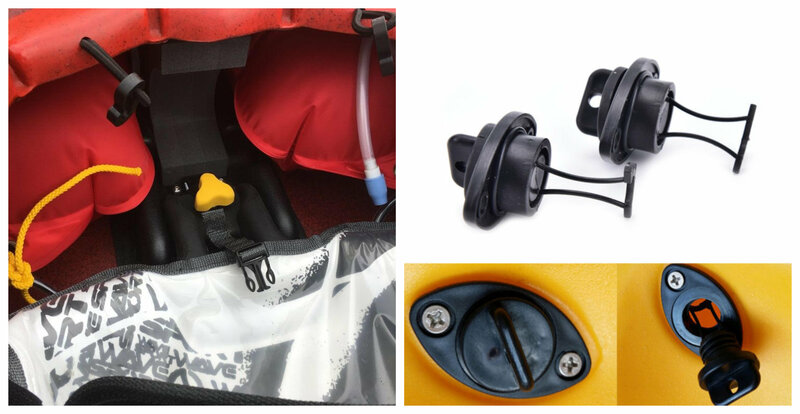 Spares of these items are kept in stores so you shouldn’t need to take them from another kayak! Shaun is stepping down from this role and we would therefore like someone to take his place as walking co-ordinator. Most of the hard work has been done; risk assessments, SoPs etc have been drawn up. All we need is someone to lead the planning meetings, co-ordinate the walk leaders and make sure there is a programme of walks on the calendar. You don't have to lead all the walks or attend them, just ensure that we have a variety of lengths, levels, timings etc on the calendar. If you are interested please email Shaun at [email protected] Maybe you'd be willing to share the role with another member? Let Shaun know, he may be able to buddy you up with someone. Please note: If you are interested in this fabulous trip starting in Mykonos and finishing in Kos, you will need to book before the end of February otherwise the places will become available to non-members. No previous sailing experience is needed, but this is the chance to learn and/or improve helming, navigating, sail trimming, and skippering. You will also get plenty of opportunities for swimming, snorkeling, yoga, walking or jogging ashore, generally helping to run a world girdling 58 foot yacht, and then there is always the opportunity to sit back and relax as your friends sail you onto the next leg. You have more time to book on the September trip which will start and finish in Rhodes. I will let you know the deadline for this in due course.